(Branson, Mo. 10-07) The spectacular Chateau on the Lake will be the site of this year’s Faith Promise Celebration for the Caring People. Kenneth Hagin, Jr. will be the featured speaker for the evening. Hagin is a well known Pastor, author and sought after speaker. He seizes every ministry opportunity to impart an attitude of “I cannot be defeated, and I will not quit.” Hagin is Pastor of Rhema Bible Church in Broken Arrow, Oklahoma and son of the late Kenneth E. Hagin, Sr. also a well known evangelist. JoDee & Peter Herschend, founders of the Caring People and co-founders of Herschend Family Entertainment which owns or operates 18 entertainment properties in 7 states including Silver Dollar City here in the Ozarks, will be sharing their hearts on reaching Single Moms with the unconditional love and acceptance of Jesus Christ. The Caring People currently hosts 17 Care Groups for Single Moms and their kids throughout Southwest Missouri and just celebrated their one year anniversary in El Salvador. Single Moms here and abroad are being impacted by the ministry. This event is free of charge and open to anyone who has a heart to reach out to Single Moms. Seating is limited. Call the Caring People office at 417.334.0131 to make your reservation today! If you would like to schedule an interview with JoDee Herschend, founder of the Caring People, please call 417.334.0131. Japan formally surrendered to the Allied Forces on September 2, 1945, aboard the USS Missouri. On September 2, 2008, at 11:45 am, the Branson Veterans Task Force will remember this historic end of WWII. Join us on the Branson Princess (renamed the USS Missouri for this occasion) at Branson Landing. A short commemoration will be followed by a press conference regarding Veterans Week activities. The theme and special guests for the week will be announced. Refreshments will be served. The formal surrender ceremonies ending WWII took place more than two weeks after the Japanese accepted the Allies’ terms. The USS Missouri was anchored with other US and British ships in Tokyo Bay. General Douglas MacArthur, acting for the United States and the Allied Forces, formally accepted the surrender of the Japanese. Foreign Minister Mamoru Shigemitsu and General Yoshijiro Umezu, Chief of the Army General Staff of the Japan Imperial Army signed the document on behalf of Japan. General MacArthur and Fleet Admiral Chester W. Nimitz, United States Navy, signed on behalf of the United States, followed by signatures of representative from the United Kingdom, China, the Soviet Union, Australia, Canada, France, The Netherlands and New Zealand. The document defining the terms of surrender was only two pages long. The entire surrender ceremony took only twenty-five minutes, ending a six-year conflict that began in Europe in September of 1939. The Japanese entered the war on December 7, 1941, with the attack on Pearl Harbor. Steve Weyher is the BVTF chairperson for this event. The Branson Veterans Task Force holds activities year-round to commemorate important events in our history and to honor our veterans. The BVTF office is located at 138 Pointe Royale Drive in Branson. To contact the office call 417.337.8387 (417.337.VETS) or visit www.bransonveterans.com. Gary and Greybeard are proud to announce that on September 1, They will launch Radio Branson Dot Com. Branson Radio will be totally dedicated to the music of the area artists and entertainers. According to Arbitron ratings, 54 million listeners tune into internet radio monthly, and 33 million on a daily basis. We are having great success and celebrating our sixth year, with our first internet station, TMTR, (This Means Texas Radio – ), and our weekly syndicated radio show, The , Texas Music Radio Show (Which is goes out to 50+ am/fm and internet stations through-out the world each week). And to top it off, TMTR has been nominated for internet station of the year the last 3 years! With so many great entertainers in the Branson area, we wanted to do all we could to promote the shows. So, last year we began interviewing Branson entertainers for TMTR, which listener response astounding. Wishing we could do more to promote this fantastic area, Branson Radio was born. 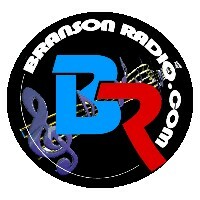 Our goal is to promote Branson entertainment and business, through internet radio. We will be broadcasting our stream 24 hours a day. At the helm, Gary Barton, (who has been going to shows in Branson for over 17 years!) and Greybeard, who made his first trip to branson last year and immediatly fell in love! We are also looking at several Branson oriented shows to run on the station. Any way you look at it, it is going to be FUN! So come join us September 1st and learn all about Branson and the Ozarks! Grand Opening of Mi~La Boutique! This Labor Day weekend Branson shoppers have a new Boutique to talk about…and shop at. Located at The Landing, Mi~La Boutique offers the newest, trendiest styles from the top designers in the industry. Men, Women and Children can rock the hottest styles from 7 for all Mankind, Sakrid, 7 Diamonds, Voom, Lauren Conrad, Jessica Simpson, Betsey Johnson and Free People, just to name a few. Coming soon are fabulous clothes from Ed Hardy, Smet, True Religion, Juicy Couture and Miss Sixty. From Milan to LA, Mi~La has the trendiest styles from the top designers! “The Entertainers”, a new morning show at the Andy Williams Moon River Theatre is returning on September 5. The groups is comprised of eleven talented performers which include: Dean Church, Steve Harbour, Brett Vaughn, Paul VonAdam, Teri Austin, Buddy Burr, Joy Sneed, Paul Dietrich, Bucky Heard, Donna Falterman and Cody Titus. This show is one that will make you get up and go. They perform everything from rock and roll to country and bluegrass, motown and everything thing in between. You don’t want to miss it! Show times are Monday thru Saturday at 10am. Valdor John survived horrific torture, a death march and an execution at the Sunchon Tunnel in North Korea, in 1950. A hero, husband, father and friend passed away on August 19, 2008. His home was in Green Bay, Wisconsin. His expressive face showed his Oneida Indian heritage. His gentle spirit touched the hearts of all who met him. His story broke our hearts and inspired us. In 2006, he joined six other survivors of the Sunchon Tunnel Massacre in their first reunion. They met in Branson, Missouri. Seven men who each had been physically, spiritually and emotionally scarred by their experiences came together for healing. They had much in common although they had gone their separate ways after the war. Each had spent a lifetime with the consequences of those few short months in 1950 that forever changed the path of their lives. They were boys then, in their late teens. They came together in their seventies. Valdor joined the Army at seventeen. He shipped to Japan and was assigned to the Graves Registration recovery team. Transferred to the 11th Airborne, he was sent to Korea where he joined up with the 21st Infantry Regiment, 24st Infantry Division. On July 15, he was sent to Taejon to join General Dean’s forces. A few days later he was captured. After he was rescued, he spent a couple of years in the hospital before going back on active duty. Valdor served three tours of duty in Vietnam as well as tours in Turkey, France, Germany and Japan. After his retirement, he worked in Dallas. He participated in the PTSD programs in Texas and Florida. He credited these programs, and his wife Linda’s support, with helping him come to terms with his Korean War experiences. Valdor was active in Indian and veteran affairs throughout his life. Last November Valdor rode his motorized scooter in the Veterans Day Parade in Branson. When a small boy ran out and handed him an American flag, tears filled Van’s eyes. Then his radiant smile broke out and everyone saw his happiness. Valdor and the other survivors have been special guests at Veterans Week in Branson for the past two years. He loved meeting Shoji Tabuchi, the Comets, Penny Gilley, Jim Stafford and members of the Branson Veterans Task Force. He loved meeting other veterans and sharing stories. He loved being with the other survivors. His wife, Linda, was always at his side. He shared his war-time experiences in the book, The Sunchon Tunnel Massacre Survivors by Pat McGrath Avery and Joyce Faulkner. Do you have a favorite Branson show or performer? Branson Critic Online Magazine, The Fan’s Site, is currently accepting votes for the 5th Annual Branson Critic Awards. Award winners are determined solely by the number of qualified votes from fans and entitle the winners to include their award(s) in future promotional material. Make your opinion count by casting a vote for your favorite show, performer, instrumentalist, comedian, etc.. (Hint, if you have a picture of your favorite show or performer, include a copy for an extra point). Casting a vote is free; just visit http://www.bransoncritic.com/chat/ and login, or register free if you don’t already have an account. Voting ends at midnight on October 15, 2008. A Veteran’s Family Needs Our Help! She’s a wife and mother. She’s a veteran of the US Army. She needs us! A month ago, two American veterans were living their dream. They met while they were stationed at Hunter Army Air Field in Georgia. After their tour of duty, they married, settled in southwestern Missouri, had a child and were preparing him to start school when disaster struck. A few weeks ago, Mom had a headache and decided to lie down for a while. When Dad checked on her, she seemed to be asleep. When time passed and she didn’t wake up, he checked on her again. He realized that she was unconscious and called 911. She’d suffered a brain aneurysm. She’s now in a coma in a hospital in Springfield, Missouri. She beat the odds to survive the medical emergency and the resulting brain surgery. Now, she beats the odds every day that she lives. A husband longs for his wife. A six-year-old child doesn’t understand what happened to his mommy. A mother and father want to take care of their daughter. A sister wants to be near her and help. Her family fights for her as she fights for life. She can’t remain in the hospital. The family has a solution but they need our help to accomplish it. The husband contacted the Branson Veterans Task Force. “Can you help?” Distraught, he told their story. As veterans, they approached a veteran organization dedicated to helping veterans. We can’t let them down. There’s a bed waiting for her in a long-term care facility, across the street from her parents and her sister – in Washington State. There’s a pilot who has a plane. He is willing to transport her there. The cost of the fuel for the flight is not covered. The pilot estimates $10,000 for fuel cost. Surely, we could raise that much money over time. However, the hospital plans on releasing her this week. The family doesn’t need help with the hospital or care facility – only the flight to take her where her mother, father and sister will be available to take care of her. The husband needs to return to work, start their son in school, and re-establish a routine for a little boy whose world is in turmoil. They need our prayers on a continuing basis – but sometimes, action is necessary too. They need our dollars to get this American Veteran to where she will receive long-term quality treatment now. One hundred percent of the money will be used to defray the cost of the flight. Please help us help this special family! For more information, call Tom Goldsworthy at 417-598.0323. Mary Jane Gibens Endowment Fund: routing number 081518375; account number 8212883. Justin Flom, internationally awarded illusionist, was featured last week in Lima, Peru for sold out performances in the 6,000 seat arena of Callao. It was a big risk for Flom to take time off his nightly performing schedule with many sold out shows in Branson, Mo., as this has been his busiest season since first coming to Branson in 2005. Flom, along with his family from Minnesota and 300 others from Grace Church (Eden Prairie, Minnesota) traveled to South America to minister to the spiritually lost making this his fifth trip to Peru. Flom said, “We use the art of magic to catch their eyes, so they listen with their ears, so God can touch their heart. Nightly sold out crowds gathered to witness a variety of performing arts. Grace Church assembled ministry teams including unicycling, puppetry, mime, drama, choirs, and of course, magic. During the day he and the teams traveled the cities performing two and three shows at orphanages, prisons and in the poorest areas of Peru. In the evening the Callao church assembled in a soccer coliseum where 5,000 spectators gathered to see a crusade type presentation where Flom performed his larger illusions. This combined with the daily ministry events allowed for thousands to hear the Gospel. “Our partnership with Peru’s Callao Church is vital because they take the names and addresses of those who’ve made a decision for Christ so as to keep in contact with them and helping them grow in their relationship with God through church, Bible studies, etc.,” said Flom. “The mission field is an incredible place to stretch your own faith and to feel like you are living a fulfilling life serving Jesus Christ. I am excited to be back home in Branson to continue my dream of performing magic and entertaining audiences,” he said. The Flom family, along with Grace Church, partnered in ministry with the same church in Peru in 1999, 2001 and 2005 and in January of 2004 Flom traveled to again minister in this unique way to the large crowds of Kenya, Nairobi. Even though Flom is only 22, he has been performing the art of illusion for two decades. His award-winning magic has been featured for audiences all around the United States of America as well as in 10 different countries. His magic has been featured numerous times on television in the states, the cover the International Brotherhood of Magicians magazine, Linking Ring, and he recently brought home the People’s Choice Award in an international magic festival held in Malaysia. Flom is in his third year of having his own theater, Justin Flom’s Imaginary Theatre, located on the top floor of the Majestic building at the corner of Gretna and Roark. Showtimes are 7:30 p.m. Tuesday through Saturday. The Imaginary Theatre is located at 2849 Gretna Rd.